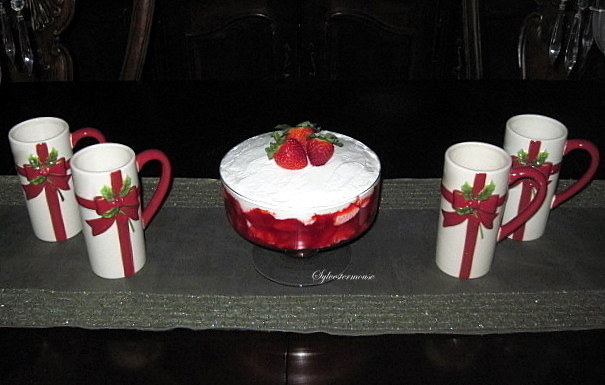 For over 20 years, I have been making this Strawberry Trifle recipe for my family. 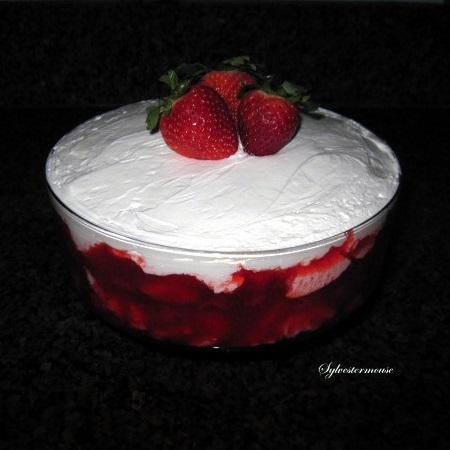 Because it is red and white, I especially enjoy making a Strawberry Trifle for Christmas, Valentine’s Day or the 4th of July. 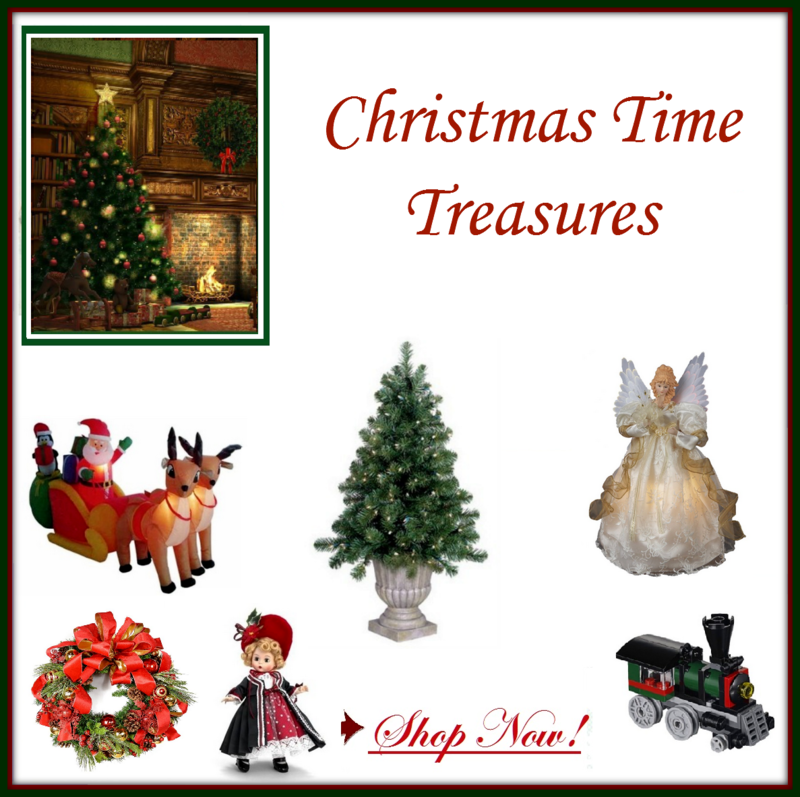 It is beautiful on any dessert table, buffet, banquet table, or on the holiday dinner table. 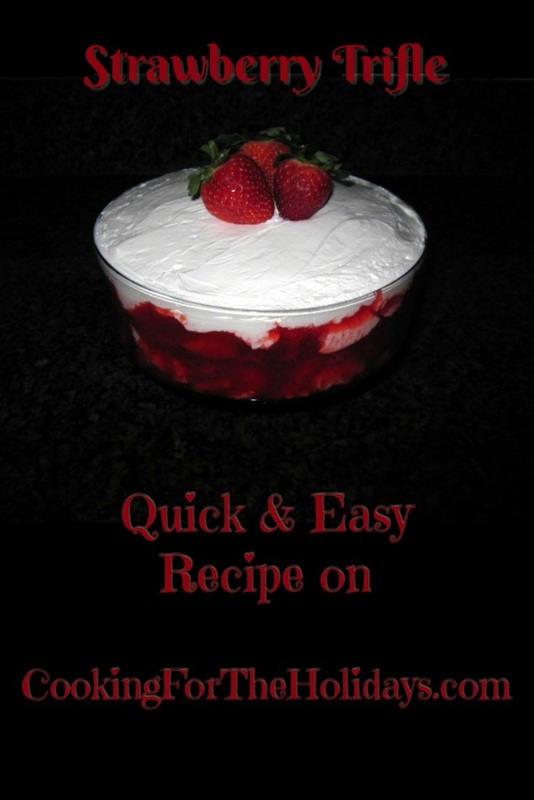 This Strawberry Trifle recipe is delicious and definitely one of my favorite desserts. It is so easy to make, that it can easily be added to a dinner menu quickly or whipped up just in time for the arrival of company without spending all day in the kitchen. Fast, easy and delicious! That makes the Strawberry Trifle Recipe the perfect dessert!! but can be doubled to make 6 layers for a taller Trifle Bowl. Mix Frozen Strawberries and Glaze Together. Fold Sour Cream and Cool Whip Together. I prefer to use the Marzetti glaze for convenience. However, you can make your own strawberry glaze if desired. A regular strawberry glaze recipe is not thick enough for a trifle so you will need to add jello to the recipe instead of using mashed strawberries. Combine water, sugar & cornstarch in a saucepan. Boil until it is thick and clear. Add strawberry jello slowly. Continue to cook for another minute or so. Remove from heat and let cool. It will continue to thicken when refrigerated. For a smaller dinner party, I use the smaller capacity trifle bowl you see in the photos. My grandmother gave me that shorter bowl over 30 years ago. Sadly, I rarely see them available anywhere these days. I would recommend a secondary market like eBay if you have your heart set on the smaller capacity bowl. I also have a taller bowl that I use at our big Christmas dinner or parties. 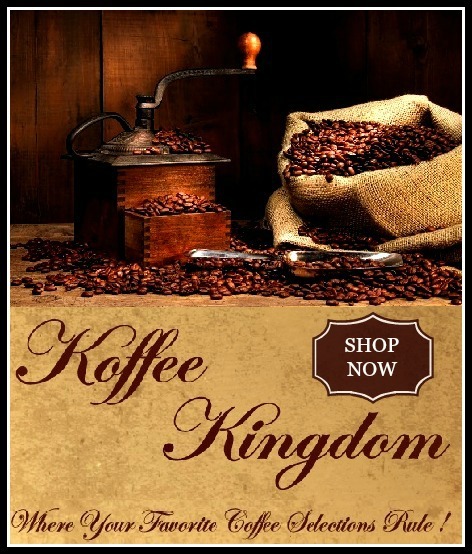 The bowls come in a variety of styles and sizes. 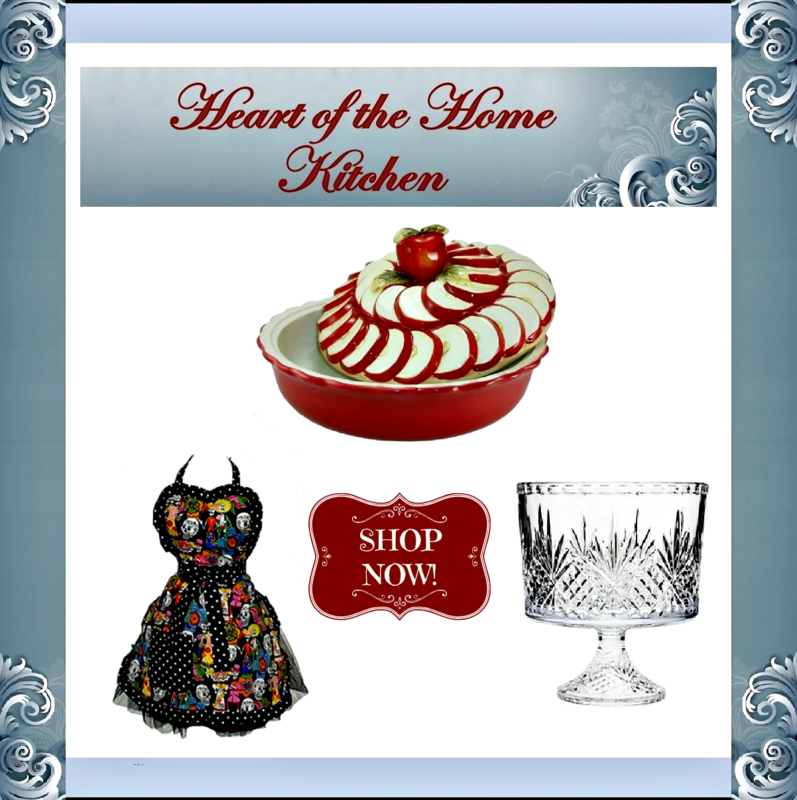 For a selection of bowls, check out Heart of the Home Kitchens. I was thinking what to make for a Christmas party & think this would be perfect. Have to find a bowl for it though; love the one you selected.